It’s been a rough few days on the internet, especially in terms of men facing (or refusing to face) their sexist, abusive behavior in the past. And, well, here’s another story to throw onto the pile. It may be cold comfort, but at least we can say this: This story isn’t going to ruin anything for you that hasn’t already been ruined. 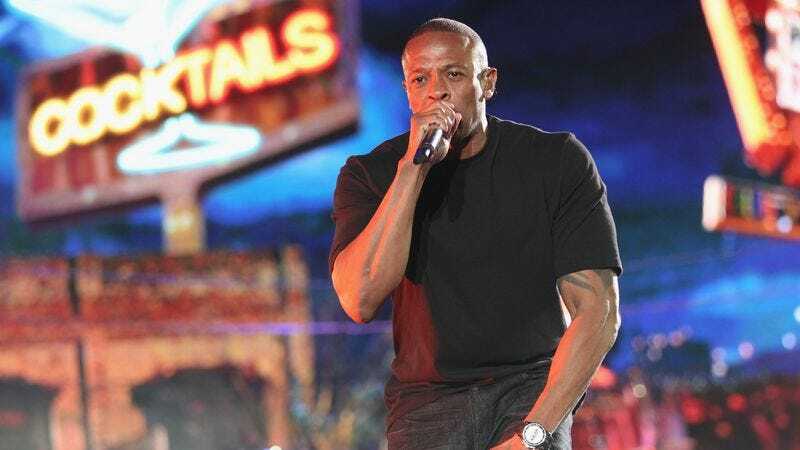 The domestic abuse allegations against Dr. Dre are already well-known. But now, according to Pitchfork, Dre claims that he never abused Michel’le specifically. He says so in a letter to Sony Pictures, which is releasing Surviving Compton: “Dre flatly denies ever abusing Michel’le,” the letter reads, adding that Michel’le never sought medical treatment or went to the police for help during the relationship, a classic victim-blaming argument that we’re just too exhausted to unpack right now. The letter goes on to say that Dre and his lawyers will seek legal action if the movie is released. As of now, Lifetime still plans to air Surviving Compton on October 15. And according to TMZ, Dre’s lawyers have warned Michel’le to back off as well. But, considering she didn’t accept Dre’s blanket apology for the way he had treated women that he released last summer, we suspect that she won’t be intimidated this time, either.